“Jinchuan Group Ltd. is offering to buy Continental Minerals Corp. for about 432 million Canadian dollars (US$419 million), marking the latest move in China’s buying spree in the global mining sector. Jinchuan would acquire the Vancouver-based mining company—whose board is recommending the deal—at C$2.60 each, representing about an 18% premium to the stock’s average trading price over the last 30 days. Continental Minerals is in the permitting process to obtain mining licenses to start developing a mine that will extract 116 million pounds of copper and 190 thousand ounces of gold in 14 years in the deposit discovered in 2005. Another deposit, named Newtongmen, is in the exploration phase. Jinchuan has been planning to raise money on the stock market for many years. Current plans are to have an IPO in 2011 in order to raise money for expansion and potential further acquisitions. The 18% premium offered by Jinchuan indicates that limited synergies are expected to be achieved. Jinchuan is mainly producing nickel and cobalt, while the Xietongmen mine will produce copper and gold, limiting management, trading and processing benefits of the expansion. 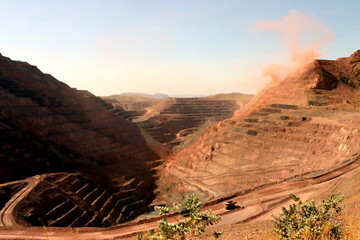 The company tries to increase its copper output, currently being the 4th largest copper producer of China. It is unlikely that any companies without gold/copper interests in China are willing to bid more for Continental Minerals. High transportation costs from Tibet will force the buyer to process the ore near the mine and customers will mainly be in mainland China. “Vale, the Brazilian mining group, has reached a tentative deal with the United Steelworkers union to end a bitter year-long strike by 3,000 workers at its nickel operations in Canada. The settlement was reached with the help of two government-appointed mediators and announced on Sunday evening local time. Ontario’s labour minister met both sides on Friday. Vale acquired Inco for $17.6bln at the end of 2006. Reports of conflicting management styles, leading to many Inco executives leaving the company, have surfaced since. Vale Inco employees started their strike in July 2009 when Vale wanted to change the bonus payment (which is linked to surging nickel prices) and pension plans. Vale Inco is responsible for approx. 1/3 of Vale’s nickel output. The operations in Sudbury were stopped at a time of oversupply in the nickel market, thus leading to a small nickel price effect. The company has not announced a definite deal with the union yet. The strike at the Inco operations has been a serious blow to the revenues of Vale in the past year. Nickel price peaked at almost twice the July 2009 levels in early 2010. Getting the operations in Canada back to full operations was therefore a top priority for Vale’s management team. Vale tried to break the strike in various ways, including operations using contract workers. The company will need to find a balance between improving employee relations and restoring competitiveness of the operations. “Anglo-Australian miner Rio Tinto PLC Tuesday said it will invest $469 million to build the Kennecott Eagle nickel and copper mine in Michigan after receiving the final environmental approvals for the project. Rio Tinto plans to produce an average of 17,300 metric tons of nickel and 13,200 tons of copper metal annually over six years from the new mine. Construction of the mine and mill will begin this year and first production is expected in late 2013. The investment in Michigan is one of the first large mining investments in the area in decades. Michigan’s environmental regulations are among the strictest in the US. The $0.5 bln will be spend on development of an underground mine, rehabilitation of an existing mill and infrastructure. Copper and nickel prices have recovered after the crisis, although nickel price recently dropped some 30%. Rio Tinto is clearly convinced the prices will stay above crisis level for an extended period of time, as the new mine will certainly not be a low cost producer. Building the only large scale nickel mining operation in the US, Rio Tinto will certainly benefit from low transportation costs to market on the US East Coast. However, in the longer term competition from African seaborne nickel trade might put this position under pressure.